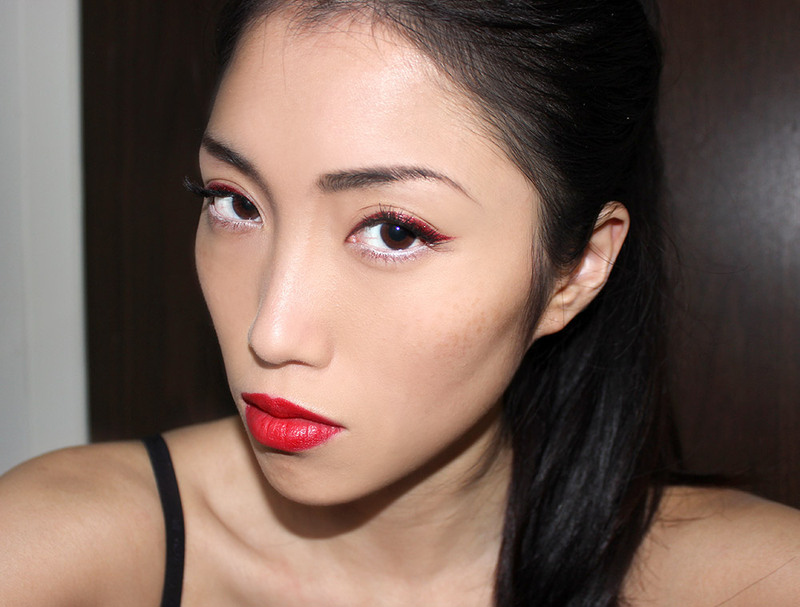 Finally, I got to play with my Ruffian Red Lipstick from the M·A·C Ruffian Collection and also tested my new Canon EOS Rebel T3i camera for a quick FOTD. Read on to see more! 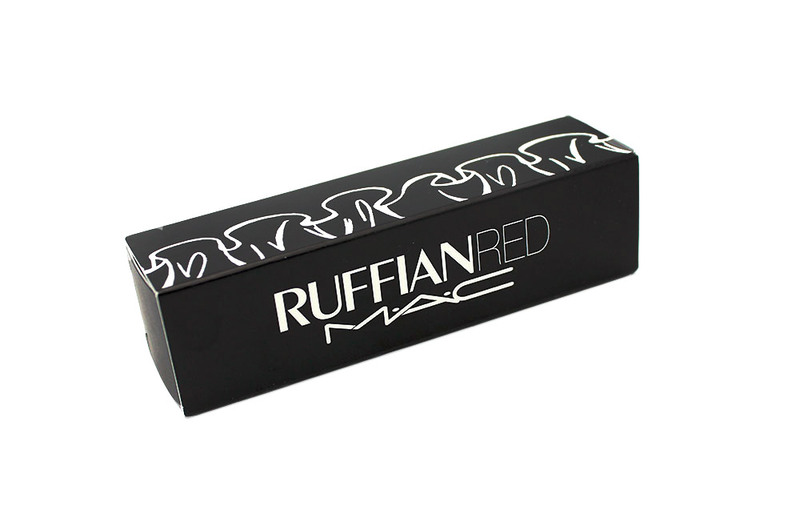 Described as a “classic rich blue red”, the Ruffian Red Lipstick comes in MAC’s signature black tube with a rounded cap and a special Ruffian box. 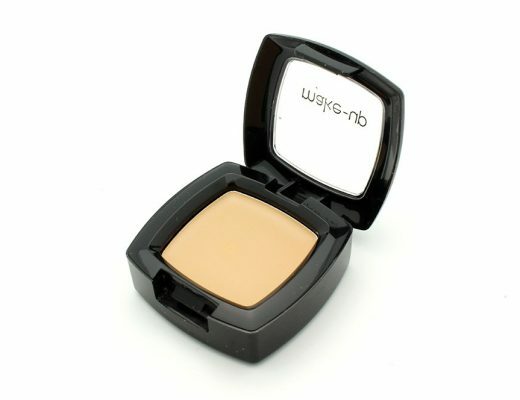 It is also vanilla scented like all MAC lipsticks. 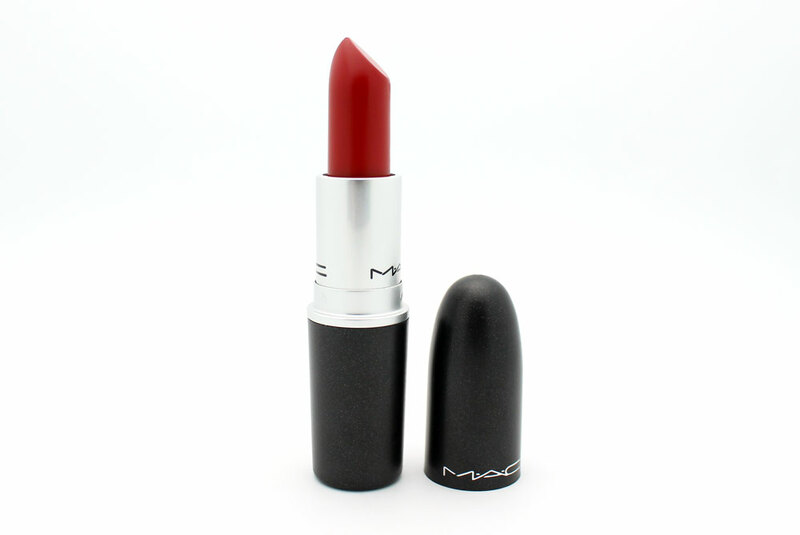 Compared to MAC Russian Red Lipstick, this is a little lighter, brighter and slightly more orangy/warm on me. 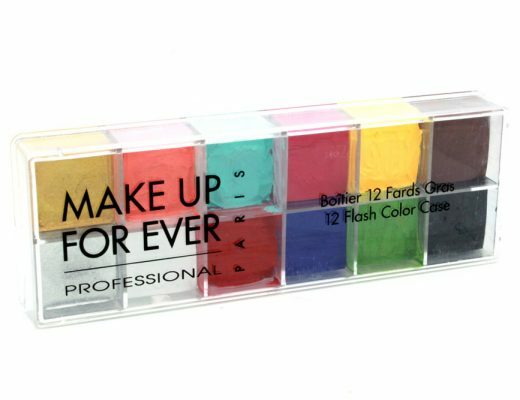 Despite the Matte formula, the lipstick felt creamy and applied smoothly without drying out my lips or highlighting flakes. The staying power was also good and lasted at least 4-5 hours. What do you think? Did you pick up anything from the Ruffian collection? 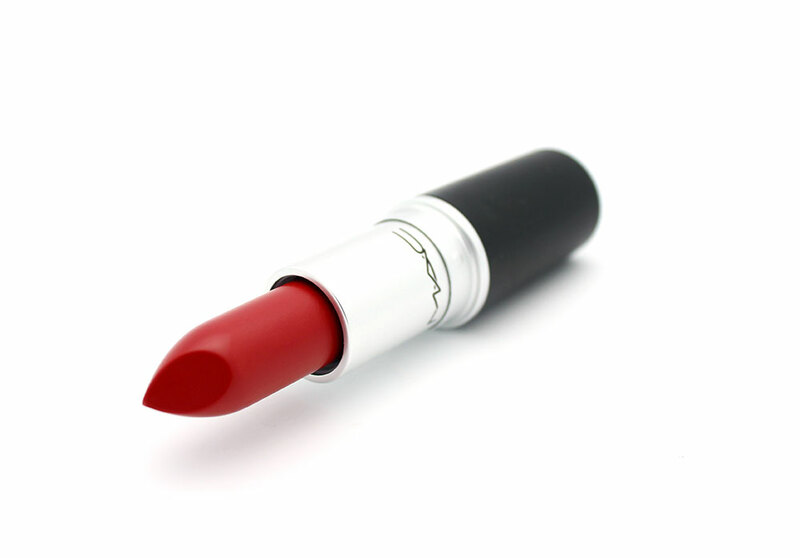 MAC Ruffian Red Lipstick is available only at maccosmetics.com for $14.50. Hey Phyllis, I love how ya rocking that red eyeliner. The orange tones in Ruffian is gorgeous. I lovvvvvvvve this lipstick you pulled the red off so well. UGHHHH I want this so bad, I’m so upset it’s online only. Looks gorgeous! 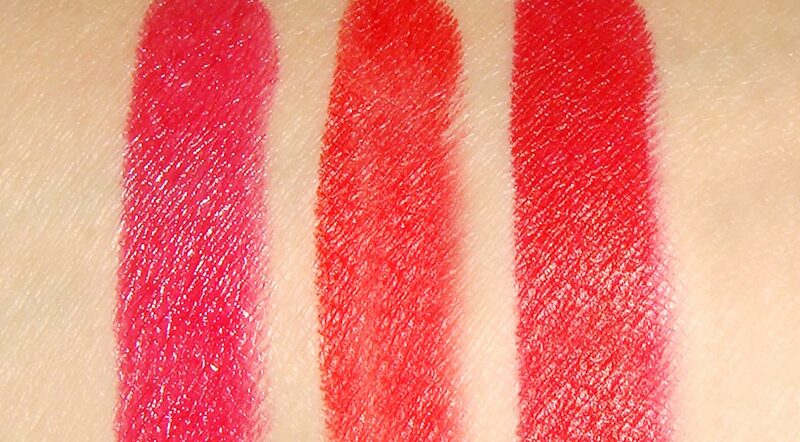 Hmmm I don’t like that it tends to run a bit orange.. Ruby woo is definitely a better red for me.. I love the red lips.